Hail or storm damage got you down? Give us a call today - we can help! Dealing with any form of damage to your roof is a harrowing affair, and when disaster strikes, having professionals you can rely on to deal with the problem head on and get you back into your home will be a welcome sight. 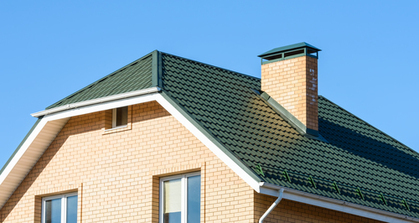 Fort Collins Roofing Service is that professional company you can count on. With years of experience in roofing, our company brings a level of expertise and professionalism like no other in the city. To quickly and efficiently get you back into the safety of your own home. Hail damage is the equivalent of placing your home in the center of a driving range for a few hours, and depending on the size of the hail, your roof damage wil vary. From shingles, to metal, to eave troughs and more can suffer the effects. Our roofing service is timely and efficient in dealing with damage from this source. Knowing the damage to look for, and where to begin, brings you a level of assurance that your problem will soon be a matter of the past. Storm damage can bring any level of intensity to a roof, from lightning strikes, to wind damage, and fallen trees. This can wreak havoc on certain roof types more so than others, and having a service that brings expertise to the assessment will allow you to know the exact extent of the damages you are dealing with. Whether lifted or torn tiles, or an unwelcome new makeshift skylight into your attic, our roofing service has the experience, and equipment to tackle your damage issue head on and bring your roof back to its former functioning glory. For any other emergency repairs due to weather, such as winter snow and ice, heat damage, or otherwise, you can count on Fort Collins Roofing Service to bring you the best level of professionalism and expertise to tackle your repair issues. When you have to deal with weather related damage to your roof, don't allow yourself to be overcome with the helpless feeling involved, be proactive and put your trust in a company that has a service backed reputation to get you and your family back home, and under a fully functioning and once again beautiful roof. The end result to all of our weather related repairs is the same, to get your family back home. Whether the damage was minor, or enough to have you evacuate your home, our crews have the experience and the equipment to get your roof repaired and in as good as new condition in a timely manner. We also assist with any insurance papers you need to file or claim. Our objective is to give you a hassle free and helpful service that genuinely wants you back in your home. As neighbors and fellow residents of Fort Collins, your family's safety and comfortable living is of our highest priority. 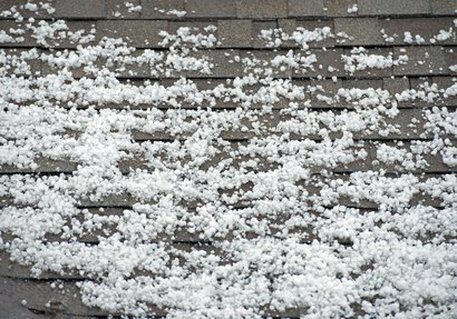 If hail, storm or other weather related damage has compromised your roof, call us today for a free consultation!